We are excited to launch a new kids cooking class series that focuses on food and our five senses: smell, taste, touch, hearing, and vision. How the layering of these senses creates our overall experience with food. 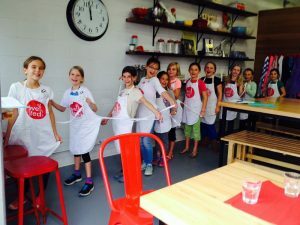 Your kids will learn to look at food from a different perspective exploring with their senses along the way, as they create wonderful fwholesome recipes rom scratch. Do your kids love to cook or want to learn more and gain confidence in the kitchen.